More pyramid-like structures discovered in Antarctica. Erosion or aliens? You be the judge! The fact that life exists somewhere beyond the interstellar horizon is a given nowadays, with scientists the world over in agreement. We’re not alone. There is no doubt some kind of life exists somewhere, the only questions remaining regard what kind of life and when, if ever, would we encounter it. The latest discovery of yet more pyramid-like structures in Antarctica have set conspirators tongues wagging, although many have probably been wagging non-stop for about 4 years. Back then, a team of scientists had discovered three snow-covered pyramids, it was reported, although they hadn’t yet determined whether or not the structured (or at a colossal stretch of the imagination ‘peaked mountains’) were man or nature-made. Many took this as a sign that Antarctica, the coldest and harshest place on earth, could have once been warm enough to be inhabited by an ancient civilization. Or was it aliens? Or, perhaps, ancient aliens?! We would certainly understand if your mind, like ours, begins to wander…. What else could be hidden deep under the ice cover of Antarctica? To add fuel to the ancient/alien theory was the discovery of pollen in 2009, which hinted at the existence of trees at some stage. And by early stage they mean about 12 million years ago. Scientists have long since confirmed that if you go back far enough (say, 100 million years ago) you would have explored Antarctica with all its luscious forests, mountains and lakes. Perhaps, a fjord here and there too. 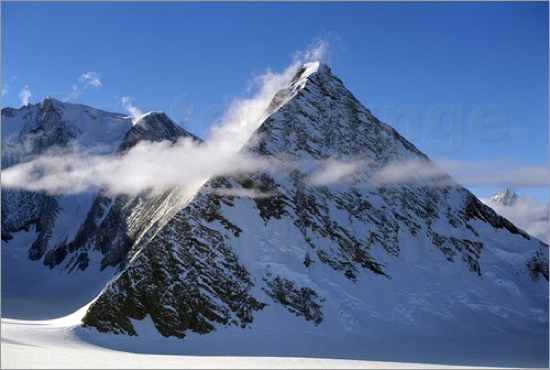 The legend of Antarctica’s mysterious mountains has taken a new twist, with a video recently emerging purportedly showing yet another pyramid hidden under the Antarctic ice. The fact this story has exploded in the (mostly dodgy) media is no surprise. Should this latest discovery turn out to be indeed man-made – let alone alien-created – it would certainly force us to completely rewrite the history of our existence on this wonderful planet of ours. The fact that the photos were originally posted on a page called paranoidnews.org was not lost on the shrewdest of readers, it must be said. Nor the fact that the seemingly smooth rocky sides of the structure can be easily explained by way of erosion. In Antarctica. The coldest and windiest place on earth. Not sure, just throwing crazy ideas out there. But for the sake of playing devil’s advocate, we’d also like to point out that this story has been around for years in one form or another. See this Russian news report from 2013, and this blog from 2012, and this other one from 2015. Well, you get the point. Now, none of them have ever included many indicative details. ‘American and European scientists’ they say. No names, no dates, no project has ever been reported. In a story of this potential – should it turn out to be true and then we’ll be forced to eat our own body weight in Antarctic snow – one would certainly expect a few more details, wouldn’t one think? Then again, it is also possible that the aliens which may or may not have helped the Nazis in Antarctica build their underground frozen bunkers, also built pyramids, perhaps as an attempt to deflect attention. At the end of the day, who really knows?! The fact that glaciated landscapes are prone to throw up plenty of pyramid-like structure, and the fact that the longer the erosion occurs the more symmetrical the peaks become, is quite a boring explanation, if you ask us. 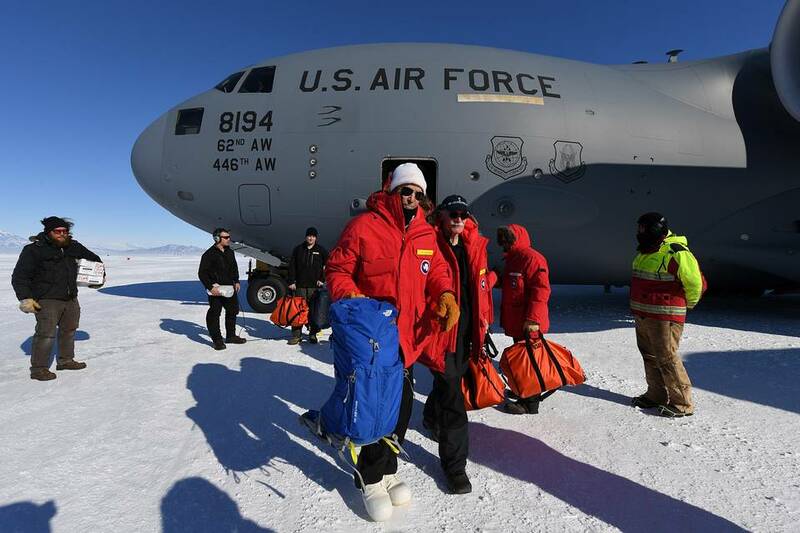 None of this has been helped by a recent visit to Antarctica by US Secretary of State John Kerry, to highlight the plight of the icy continent under threat from global warming. Conspirators believe this was just an excuse, and that Kerry was really there to explore the possibility of alien construction project instead. Our only option now is to wait, yet again, with bated breath. Will this latest story be verified? Will we ever know the name of the scientists? And will we EVER discover the true origin of Antarctica’s mysterious pyramids? Why wait when you can visit Antarctica and come see for yourself? We have an exciting range of expedition cruises to the White Continent. Alien encounters may not be guaranteed but encounters with the spectacular Antarctic wildlife, most certainly are! Or if are you more interested in discovering awe-inspiring South America? Chimu Adventures can help you to make dreams come true! Click here for more information about Chimu.